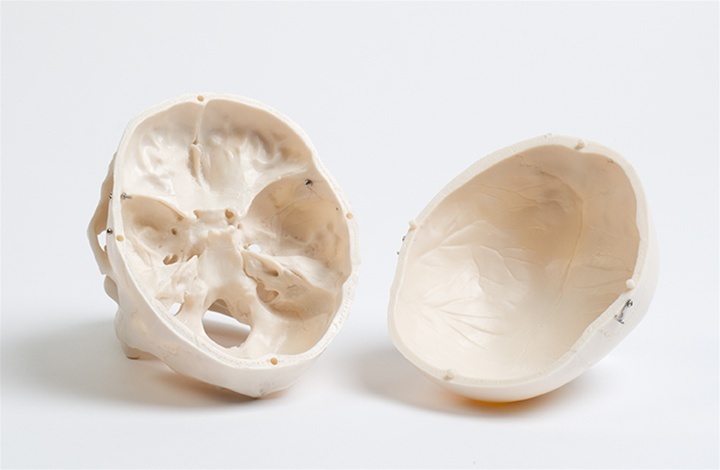 Anatomical models are indispensable instructional tools for professors, lecturers, and medical professionals while facilitating supplementary education to students of anatomy and physiology. The 3-Part Deluxe Life Size Skull surely carries these characteristics. This cranium model is a top of the line anatomical teaching skull. 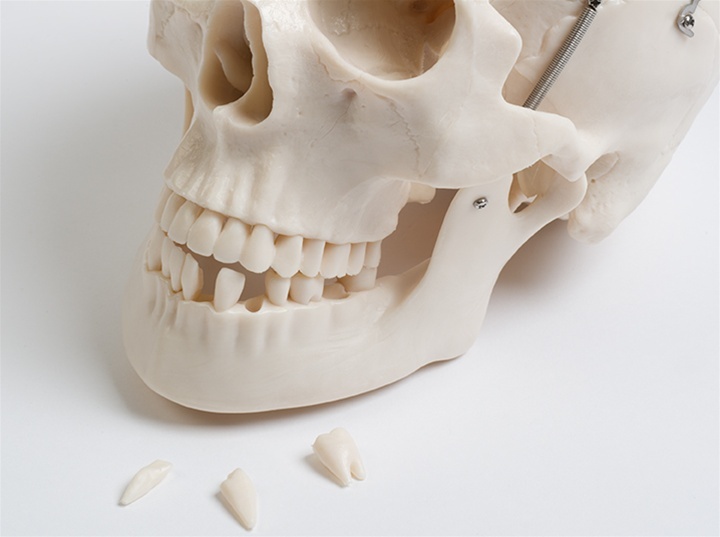 It features a movable mandible, cut calvarium, and sutures or seamline junction characterizing the human skull. • three of the lower teeth. The human skull is the component of the skeleton that provides a framework to the face and creates a chamber for the brain. 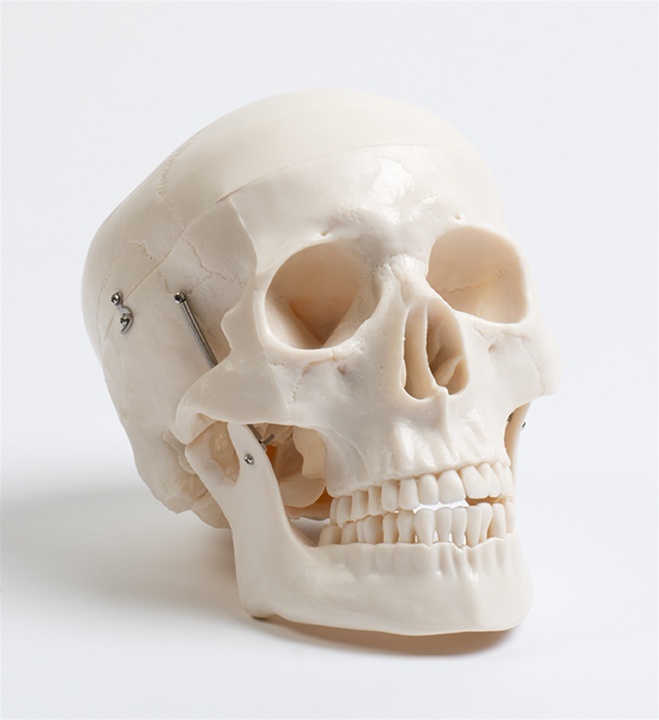 This skull reproduction is the ideal study partner for students of cranial anatomy. This is also recommended for doctors and medical offices for use in patient instruction. This is made of durable PVC plastic that is sure to last for years of study. DETACHABLE- It exhibits detachable parts such as the skull, jaw, and three of the lower teeth. IDEAL STUDY PARTNER- This skull reproduction is the ideal study partner for students of cranial anatomy. This is also recommended for doctors and medical offices for use in patient instruction. HIGH QUALITY- This is made of durable PVC plastic that is sure to last for years of study.